Made by Hose-McCann of Brooklyn, New York. This is a sound powered "Ships Phone" used on merchant ships for maritime service on the high seas. The springs hold the reciever so it cannot fall in rough seas. 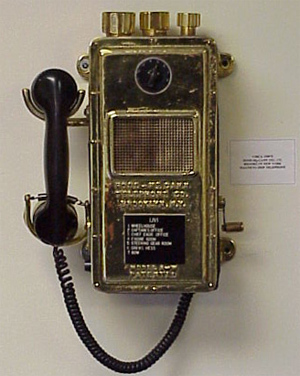 Solid brass phone, very very heavy.